Today we celebrate Flag Day in America. I love the flag and we proudly fly it in front of our home. To me, it stands for all the wonderful things about living in the United States. It flies to represent our freedom and strength as a nation. When I worked at a local high school and coached the varsity cheerleaders, they knew they had better stand at attention with their hands over their hearts when the flag was presented. The girls also knew that I would cry each time the band played the Star Spangled Banner as we stood shoulder to shoulder on the field or at pep rallies. I’ll be honest with you; I still get emotional when the flag is raised before sporting events as someone sings our national anthem on television. There is just something about the tradition that brings tears to my eyes. I don’t care about anyone’s politics. I really don’t but I find it extremely sad to see people destroy the flag or not show it respect by standing when it is being displayed. Maybe it has something to do with my age or being raised in the south. It is just ingrained in my psyche. I remember after 9-11, there were flags EVERYWHERE as we rallied together as one nation without any thought of our differences. We were all Americans and were united in our pride. If you live in America, you should thank your lucky stars to have the red, white and blue to look up to as it proudly waves reassuring us that we live in the greatest nation in the world...the land of the free and the home of the brave. 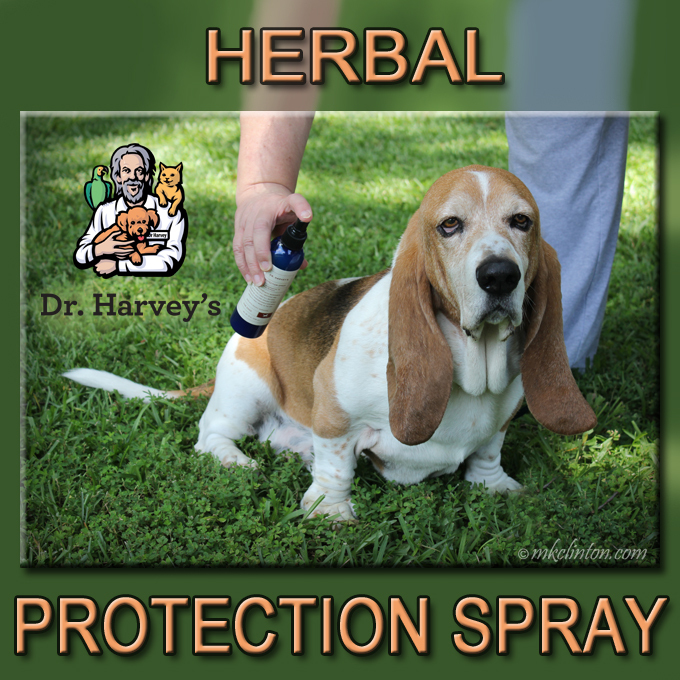 Dr. Harvey's Herbal Protection Spray. Happy Flag Day. Mom says the biggest problem in the world is no one has respect for others, or anything anymore and that is sad. Happy flag day! I just love lady Gaga. Hey Dad! You'd better put up the flag today! We are for free speech but we think disrespecting the flag is a poor way of making a point. Good post. Agree completely about your comments on the flag. It's so sad to see disrespect or lack of civility in any form. Happy Flag Day! You are right! No matter our differences we should all love and respect our flag. We are so lucky to live in this country! We stand proudly with you and we have our flag flying too!!! Mom is the same way! It's a grand ol' flag! Happy Flag Day! We agree with you 100% on everything! We love our flag too and proudly display it all the time. My Dad and I had differences in opinion politically, but he instilled in me a deep love of country either way. Happy Flag Day! Love your patriotic outfits! It bothers me to see people disrespecting our flag too. Our country started a freedom revolution throughout the world that is still blazing today. We tend to take our freedom for granted. 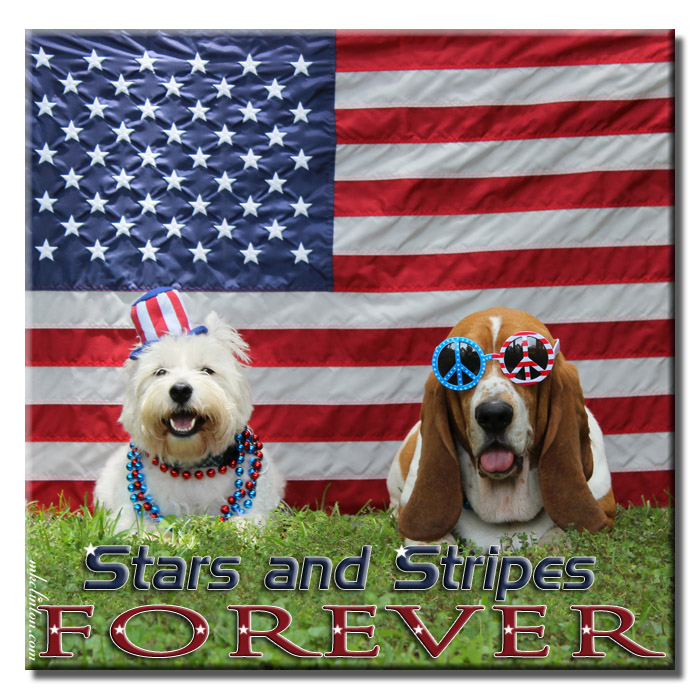 I hope you had a great Flag Day! We agree. Happy Flag Day to you! Mom and I are the same as you about Flag Day, the flag, and the anthem. We are very patriotic that way. When Mom was a teacher, patriotism was part of her kids' day every day - whether it was pledging allegiance, singing her collection of USA music, learning American history, writing to our local or national politicians, red, white, and blue arts and crafts, or dressing up for our patriotic holidays. We can only hope it stuck and she created some good citizens. Our Brother-in-law...a Texan...always decorated the whole house with flags. (He would even put up an Aussie Flag.) The flags would surround the house along the gutter. He is gone now....but your post reminded us of a VERY FUNNY and LOVING guy. I remember seeing Gaga perform, and man. She really brought tears to my eyes. I'm not a big fan of hers, but she really can sing. Hoo-boy. OMG, this video is incredible! Lady Gaga is so amazing, you can just feel her true emotions, it made my eyes tear up. I get very emotional too whenever the anthem is played. So much discourse in our country now, it saddens me. I know we will get through this and prevail, we always do! Thanks so much for sharing!